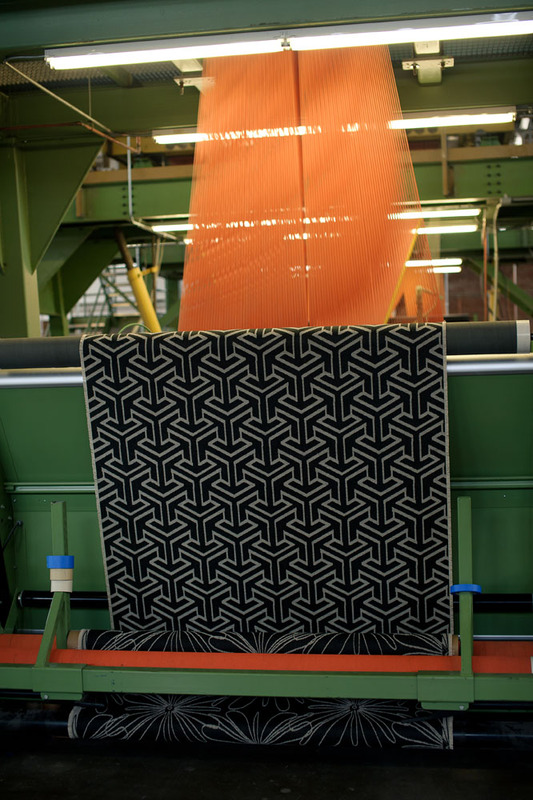 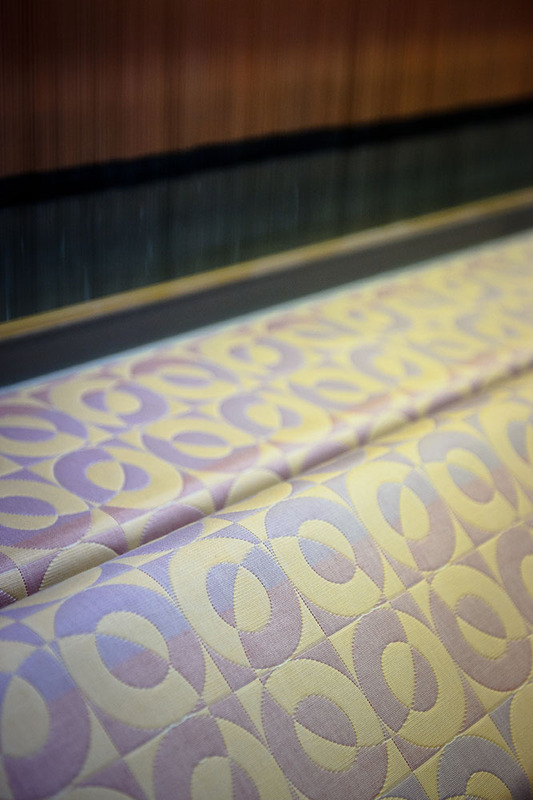 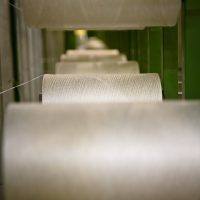 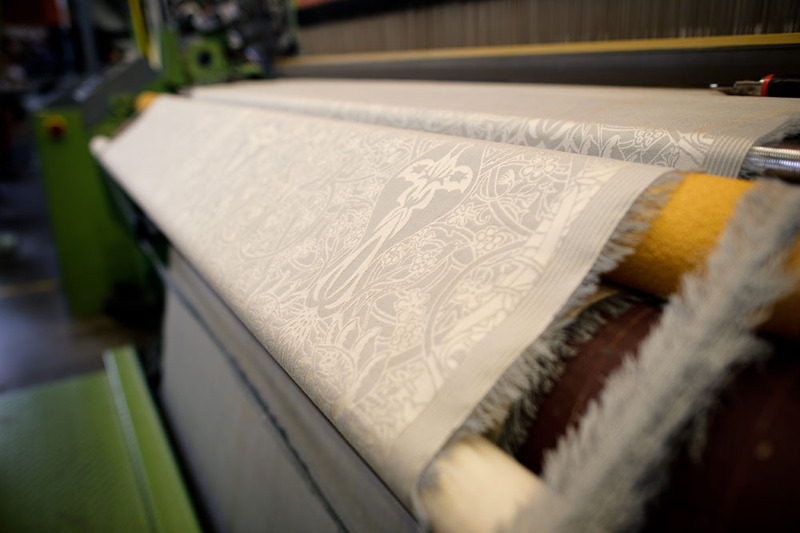 Every step in the process of making fabric and making product is an opportunity. 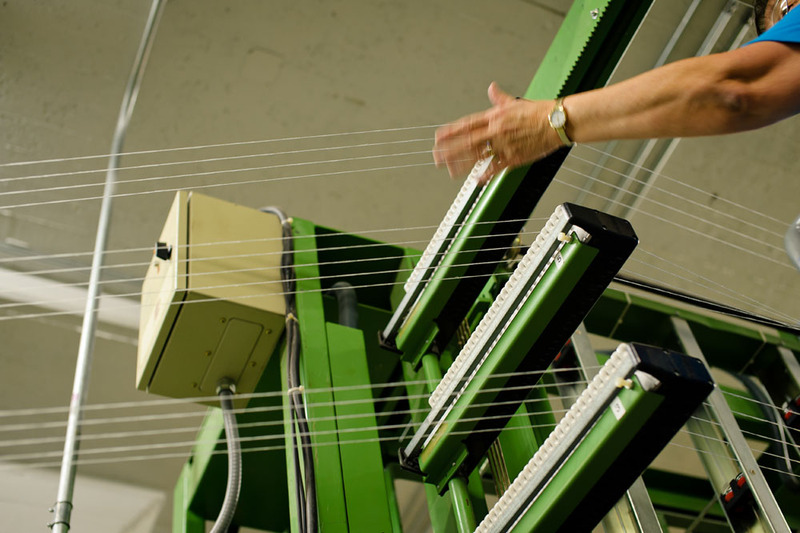 Some see the opportunity as purely economic – how can the product be made more cheaply? 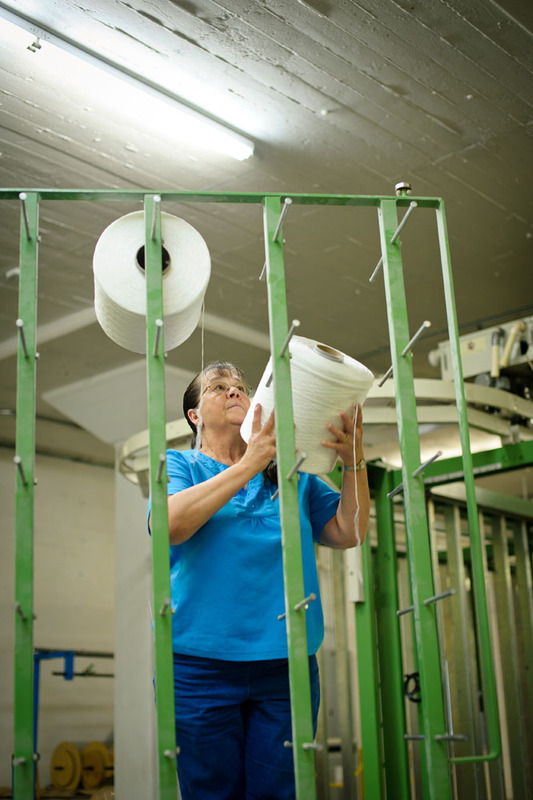 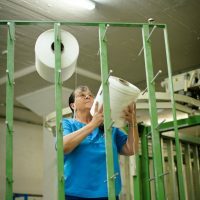 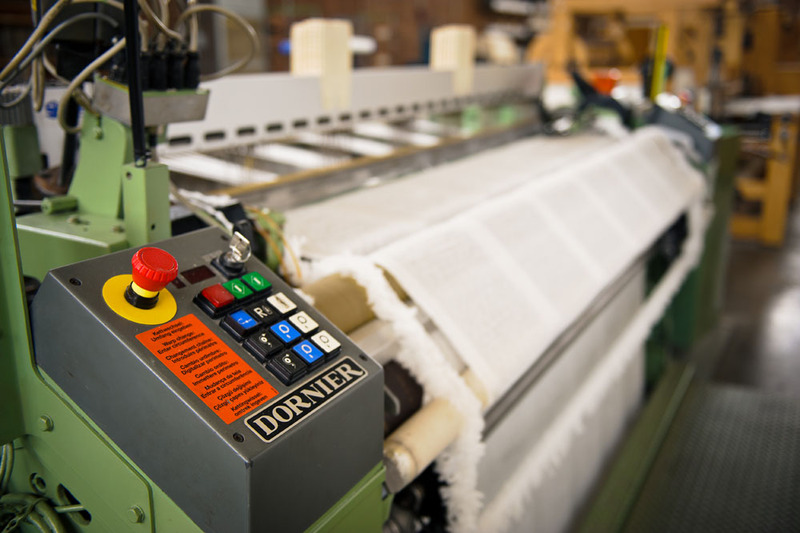 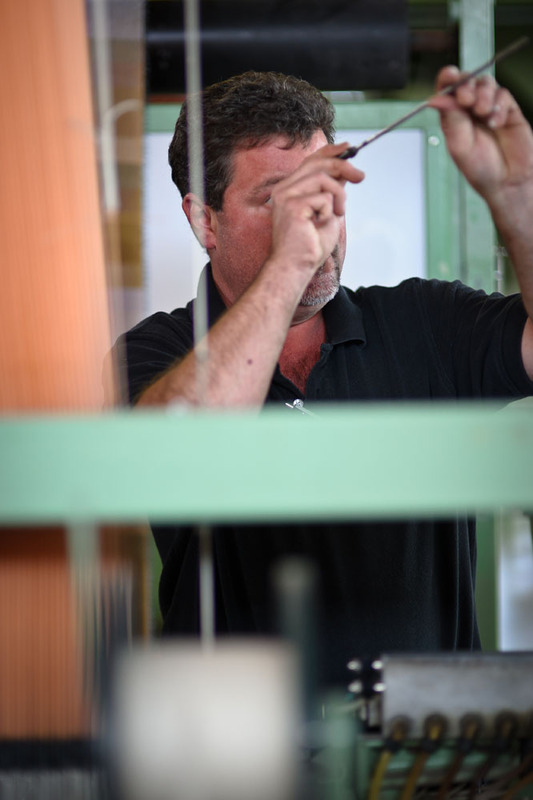 The question we ask at The Oriole Mill is how can the product be made better – both in quality and efficiency. 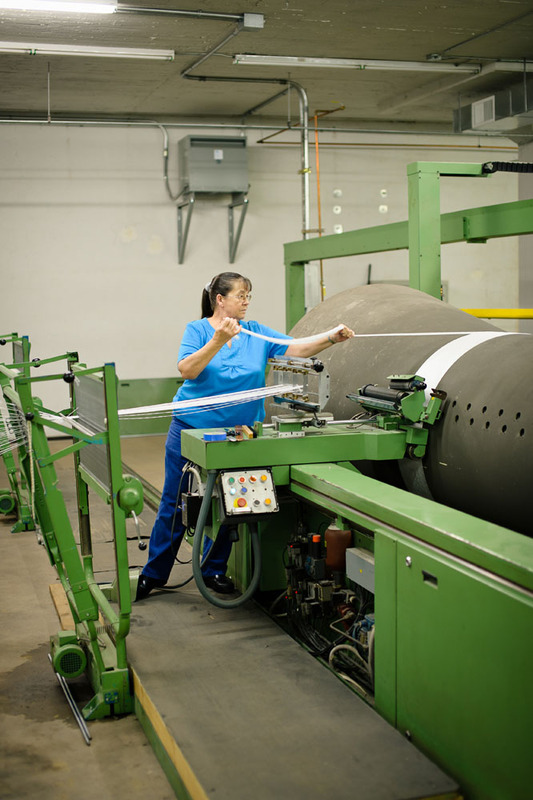 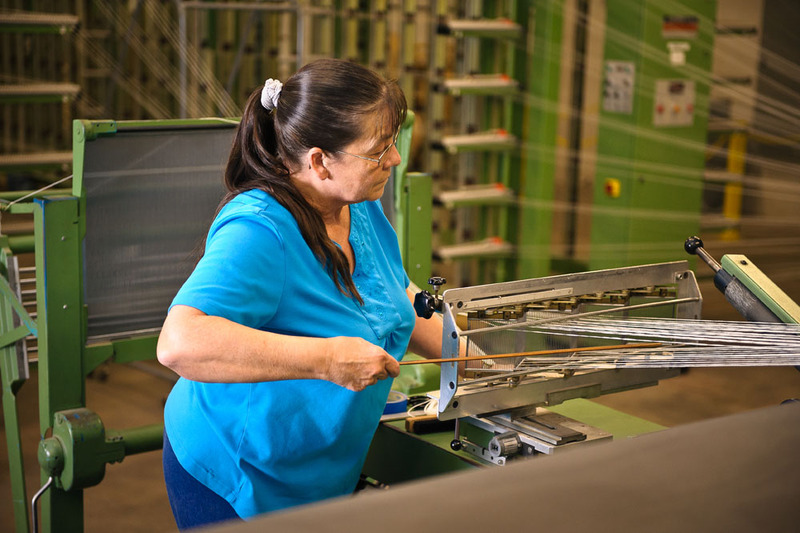 Everyone on The Oriole Mill team is empowered to fully participate in the manufacturing process. 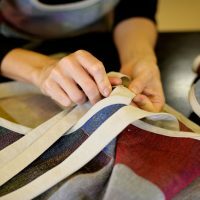 Whether making suggestions or checking the progress and quality, it’s a collaborative system that produces exceptional results. 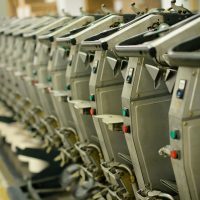 It is as much a design think tank as it is a mill. 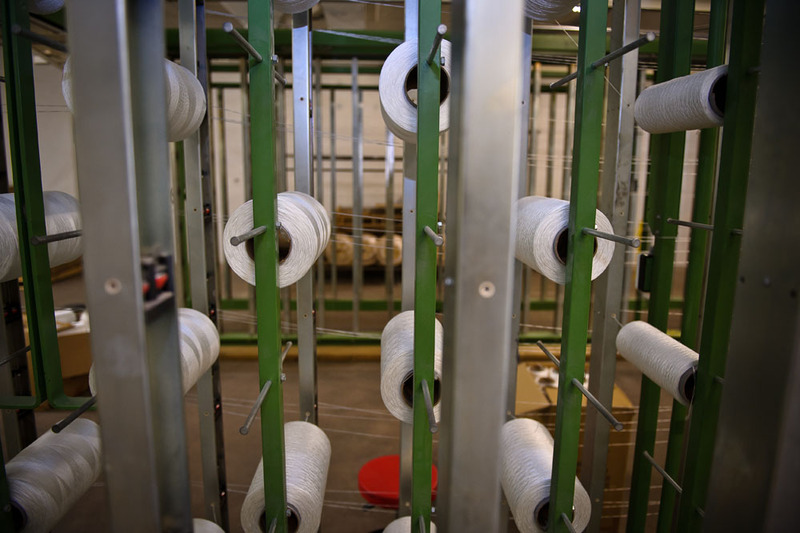 Even though some view the entire mill as a design studio, we have set aside a room for just that purpose. 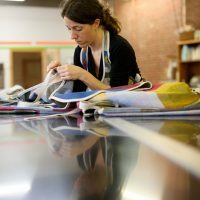 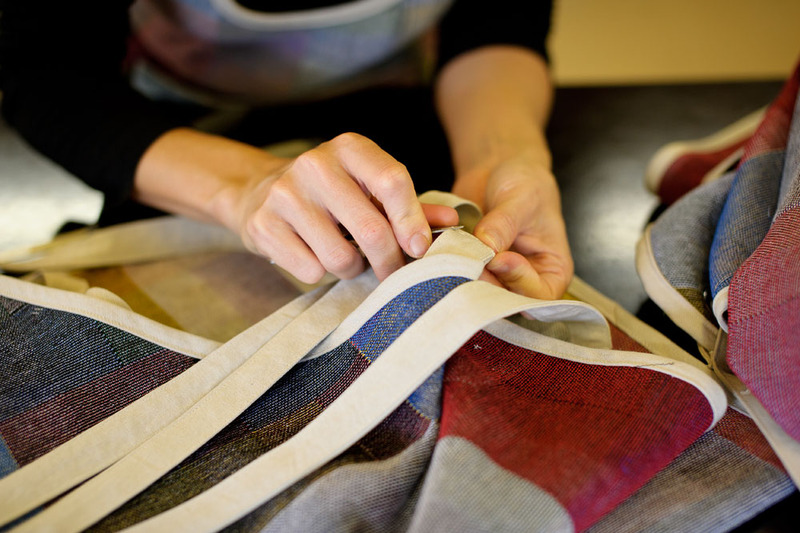 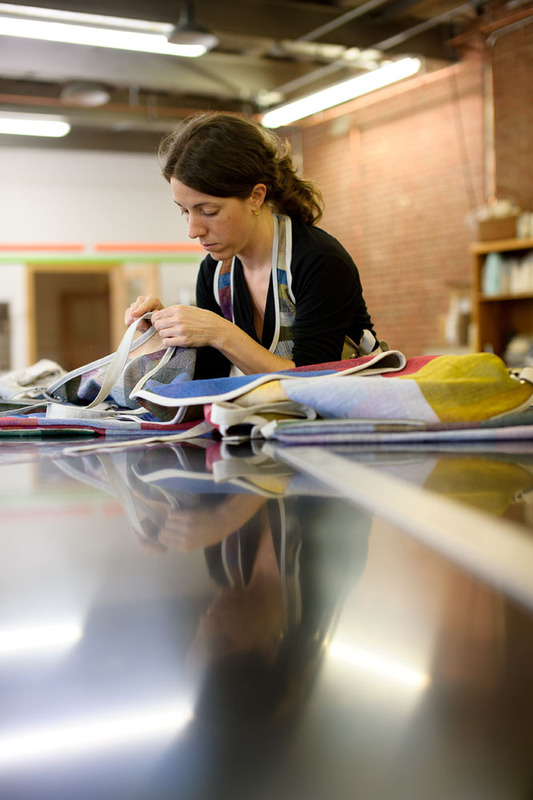 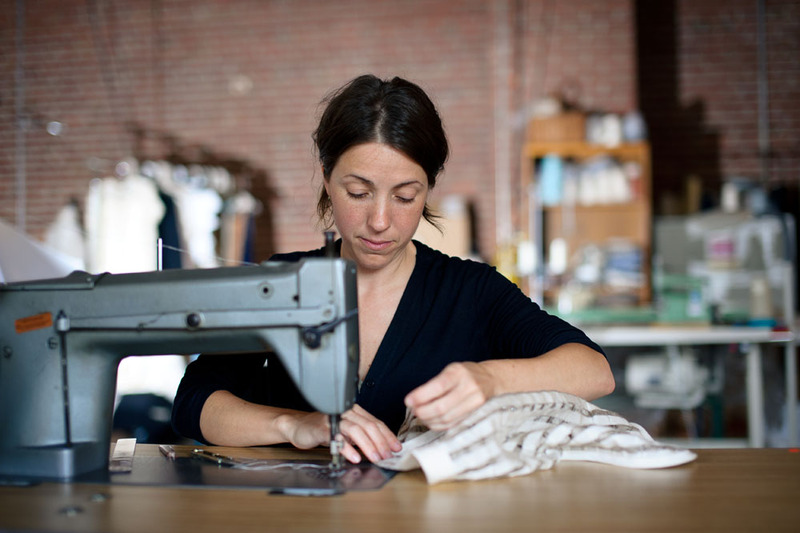 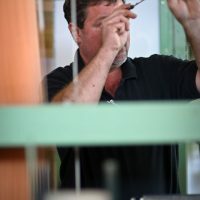 It is shared between The Oriole Mill and Sew Co. and is the hub of all design activity. 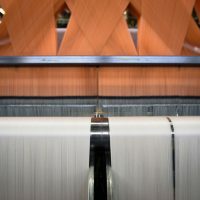 It is in the center of the mill, close to both weaving and sewing. 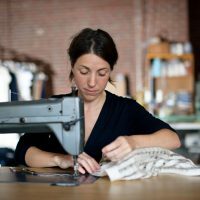 The studio houses an archived library of The Oriole Mill’s fabrics, a patternmaking table, a large work table and pinnable wall, plus a cozy couch as a place for inspiration and contemplation and discussion. 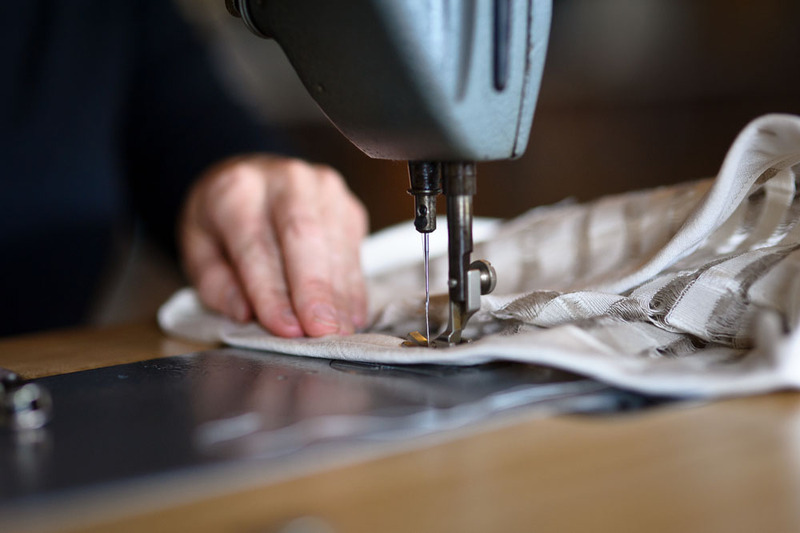 Attention to quality applies to the design and manufacturing of our goods. 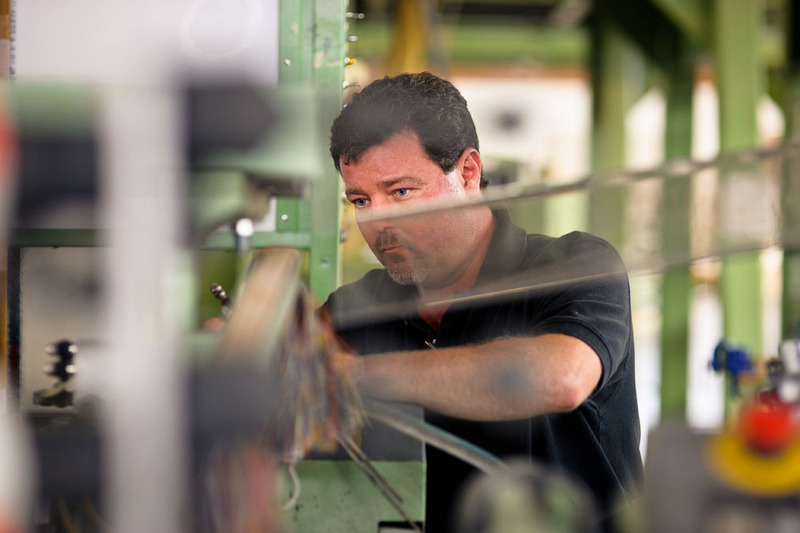 It also applies to our working environment and the relationships both within and outside The Oriole Mill. 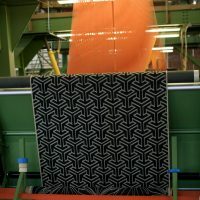 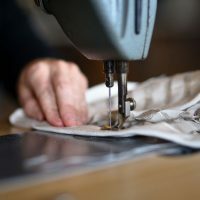 Not only does every process, and every crew member aim to produce with high quality, everyone who touches a fabric or product also inspects it. 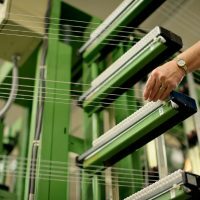 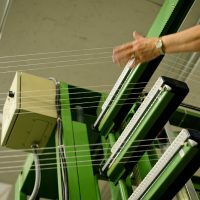 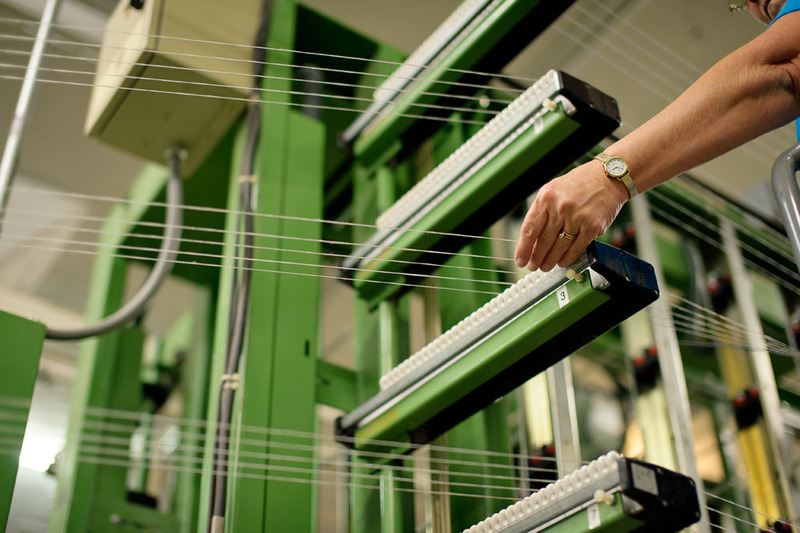 Today, eight Jacquard and two high-speed Dobby looms are actively weaving. 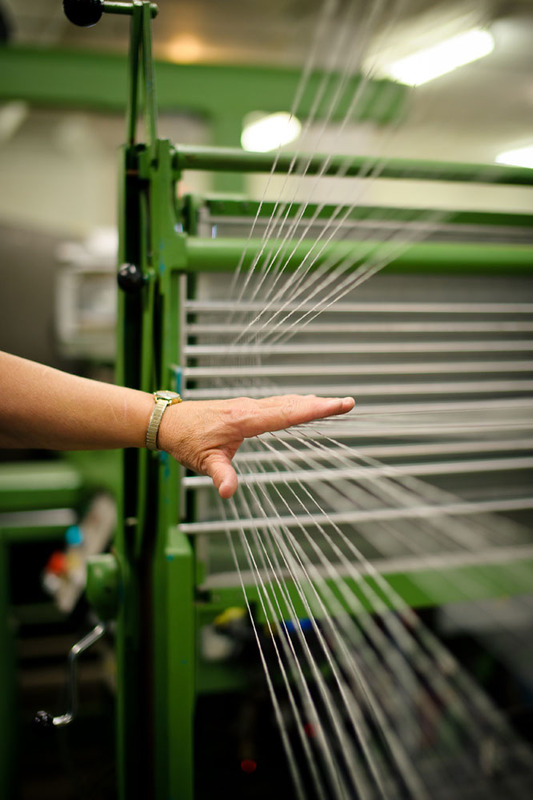 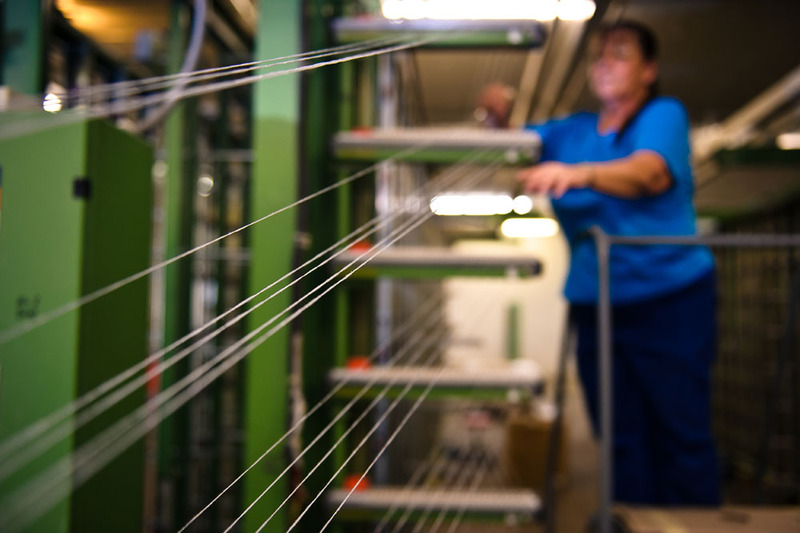 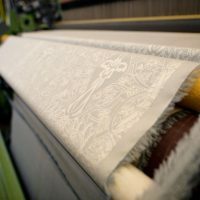 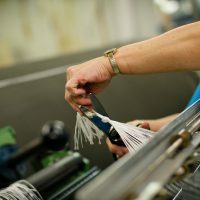 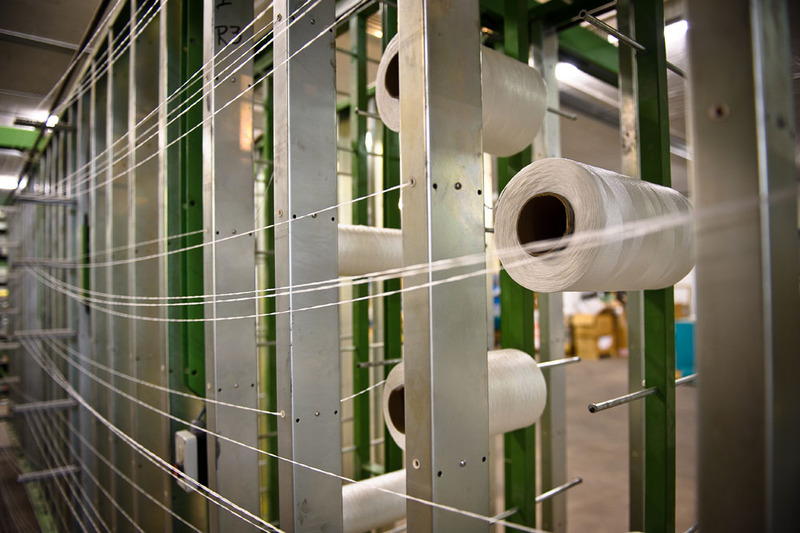 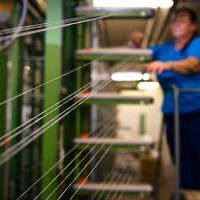 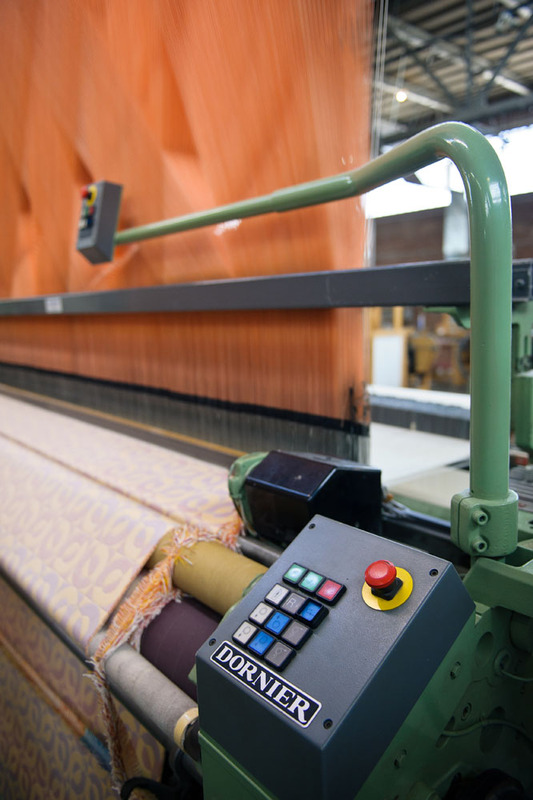 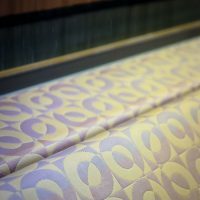 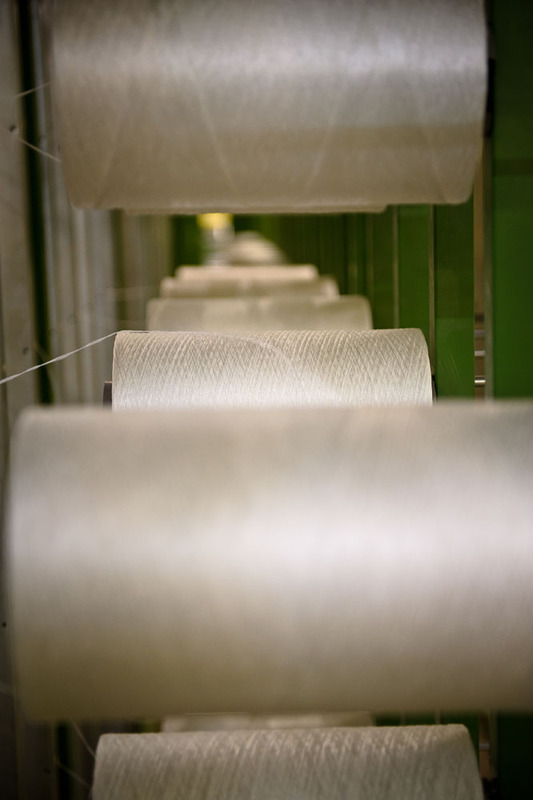 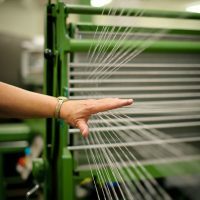 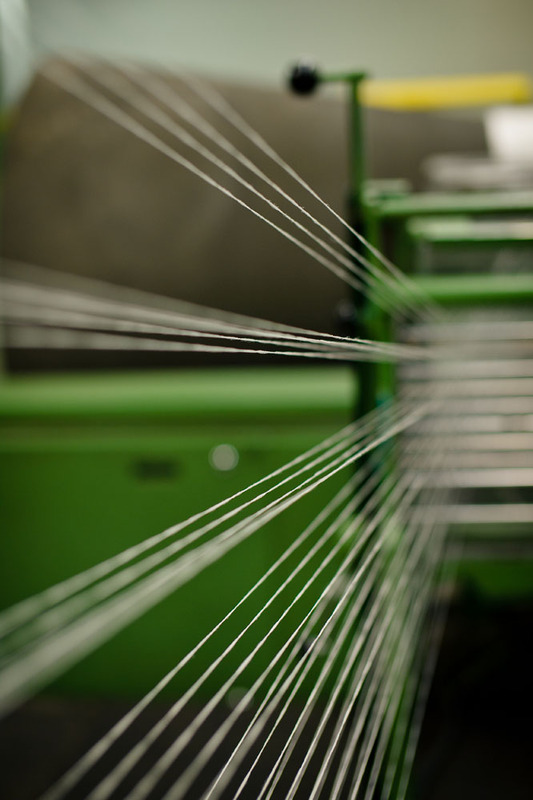 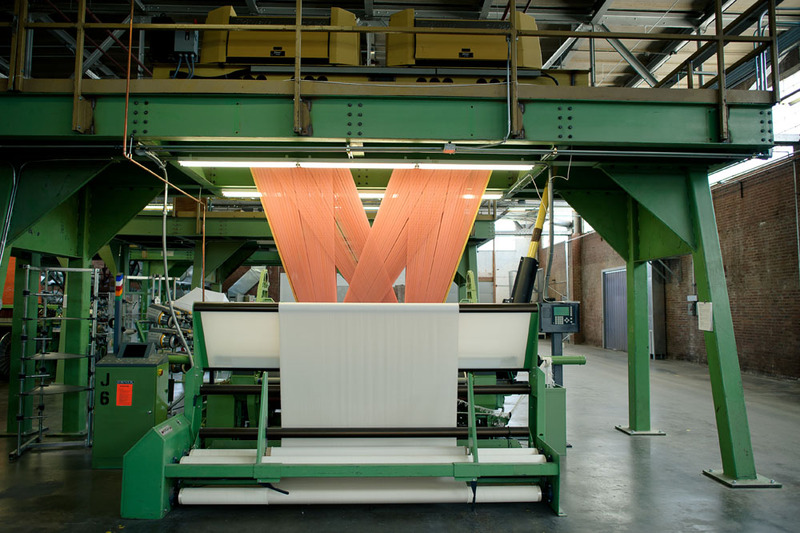 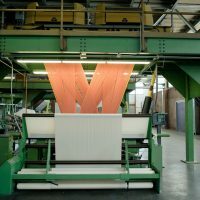 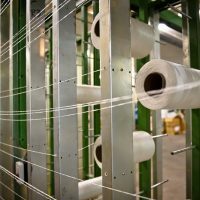 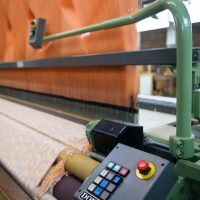 In-house warping, winding, finishing and sewing facilities support the weaving process to produce high-end, luxury fabrics and home goods. 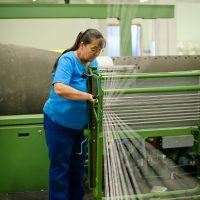 We make our own knit-braids and bias fabric. 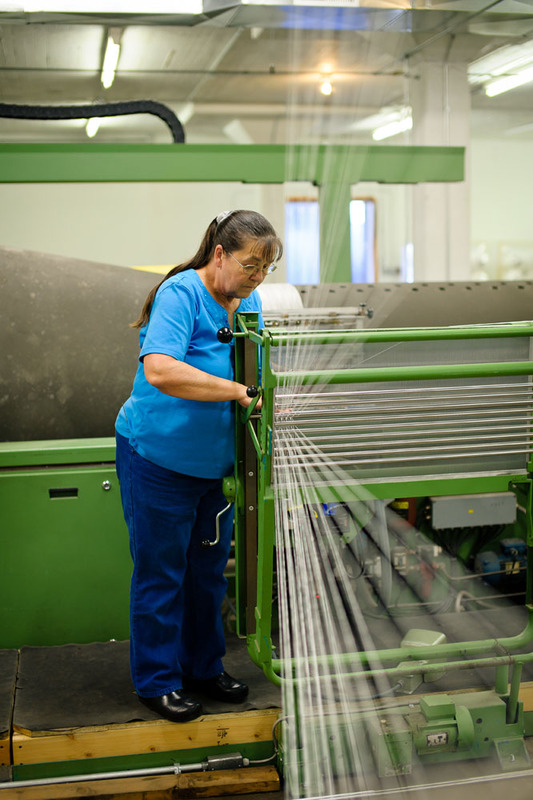 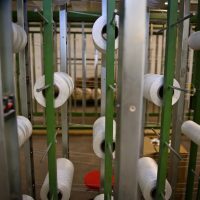 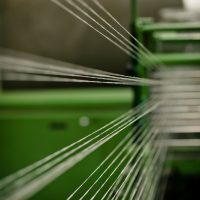 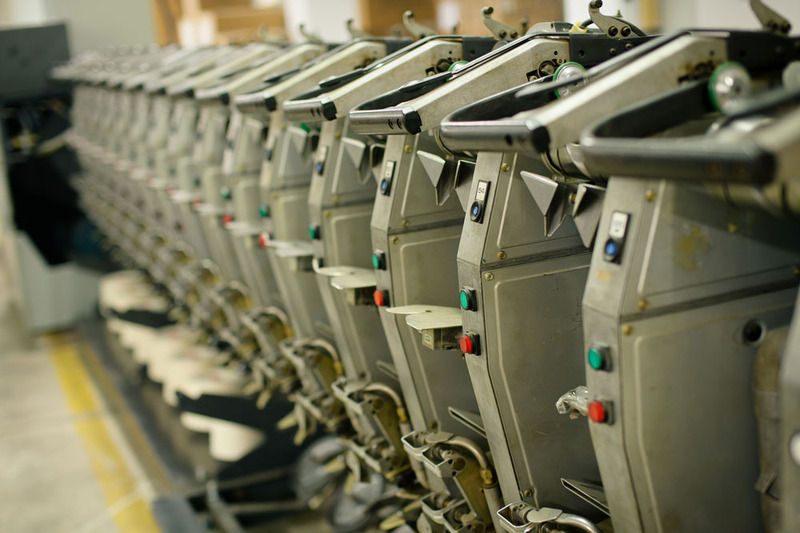 We have winding machines, embroidery machines, and a twister for yarn doubling. 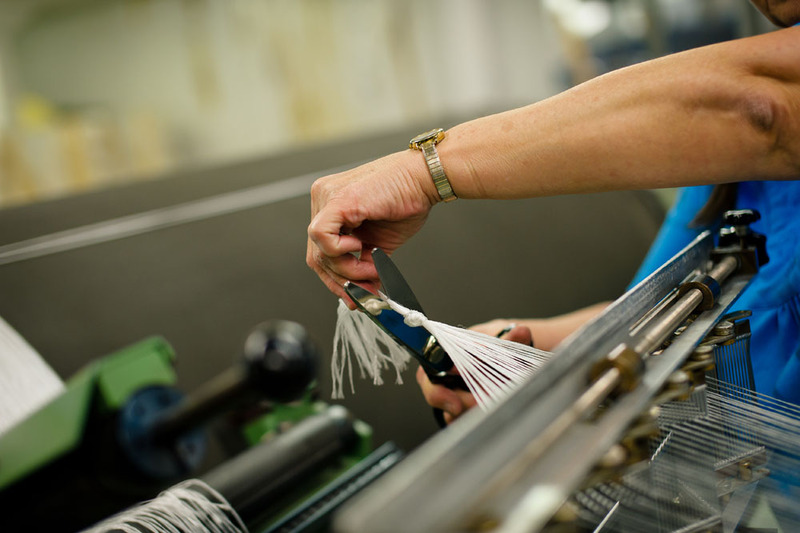 We have solved the challenge of sourcing trims and distinctive details by producing them ourselves. 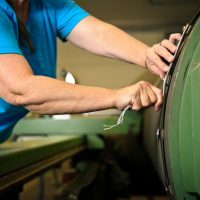 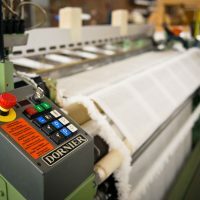 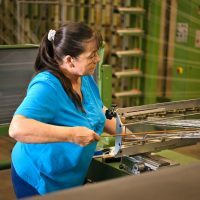 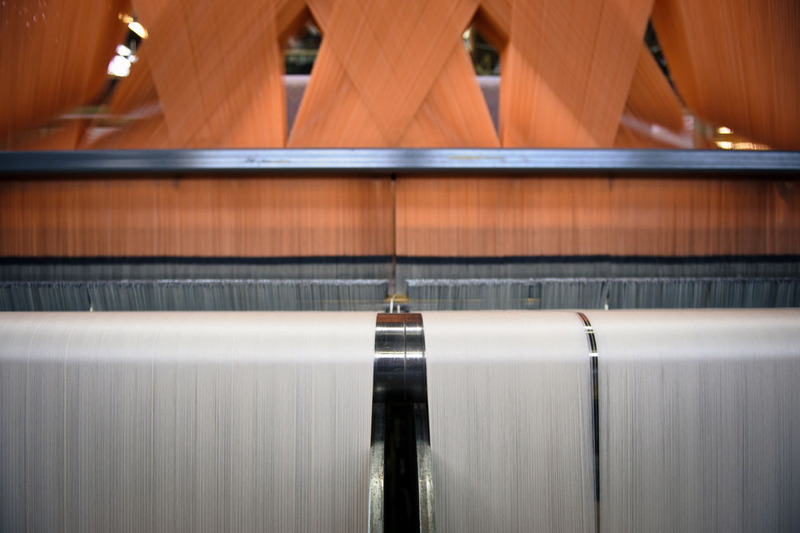 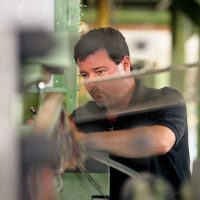 Utilizing only the finest quality natural yarns, the best equipment and an expert crew, The Oriole Mill creates beautiful, functional and durable goods designed to last a lifetime.